Enter a world of romance and adventure! 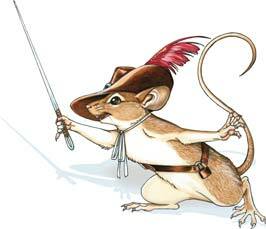 A world where Centaur ladies flirt with Satyr Musketeers – where rapier and pistol match their powers against ancient sorceries.Where a small brown house-mouse becomes the King’s most astonishing new cavalier! Accidentally sprung into intelligence by a brutal spell, Mus the mouse finds himself cast adrift in an astonishing new world. As companion to Miriam, a Half-Horse damsel in distress, Mus must protect his lady fair from sorcery and battle, facing sinister intrigues that seek to overthrow the very throne. 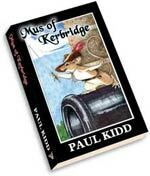 Set in a delightful “Cavaliers and Roundheads” world filled with Centaurs, Satyrs and magic, “Mus of Kerbridge” follows the adventures of a house mouse who becomes magically blessed (or cursed) with intelligence. In a time of court balls, intrigues, spymaster and gathering war, Mus becomes embroiled in the events that are about to shake his new found world. This is a book rife with romance, action and adventure – with a delightful array of very human characters. This is a reprint of my first-ever published novel. With copies of the original Mus of Kerbridge selling for absurd amounts on E-bay, I thought it might be nice to bring Mus back into print. It was a strange experience to go back and read my first book. Even after 20 further years of writing experience, Mus still read well. A delightfully fussy, fun style. It drew its inspiration from romances such as The Scarlet Pimpernell and The Three Musketeers – and put that degree in 17th Century History to damned fine use! It’s a pleasure to bring the little fellow back again!